Sony's PlayStation reported that its network was back online and claimed that it had been attacked, three days after it and Microsoft's Xbox went down in an outage. An allegedly coordinated Christmas day hack brought down the gaming consoles, both hot gifts for the holiday season, although Xbox has been working at near full capacity since Friday. "PlayStation Network and some other gaming services were attacked over the holidays with artificially high levels of traffic designed to disrupt connectivity and online gameplay," Catherine Jensen, vice president of consumer experience for Sony's California-based US division, said in a blog post late Saturday. "PlayStation Network is back online," she added. Meanwhile all except three of Xbox's applications have been up and running since Friday. Game users took to Twitter to celebrate PlayStation's return. "Was just about to pack this ps4 up and trade it towards an xboxone. Just in time." Twitter user @xander63090 posted. Hacker group Lizard Squad took credit for the disruption and has targeted Sony in the past. Sony had earlier this month been hit by a sophisticated hacking attack that stole massive amounts of data from its servers. The US has blamed North Korea for the attack, with the reclusive state furious at the release of Sony film "The Interview", which parodies leader Kim Jong-Un. 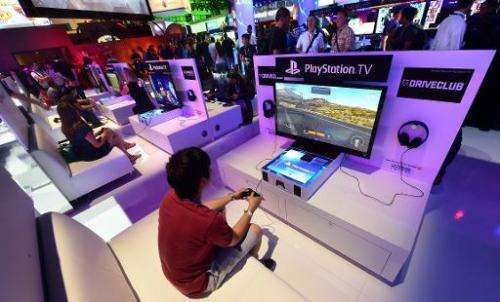 However, analysts said a direct connection between the Sony PlayStation and Sony Pictures attacks was unlikely, and that the latest hack was probably the work of fame-seeking amateurs. the N. Korean does the Sony hack has been exposed as lie. There is no way that N. Korea could even manage the data package. Basically it's a propaganda and agenda driven hit, to try and blame N. Korea for this 'hack'. The consensus is someone in the west did it and is trying to use it as a vessel to drive a political agenda. This internet thing is exposing the propaganda of fascism.... faster and more often, each day. All a person has to do is start researching this whole hack and they very quickly find out that the idea of N. Korea doing it is flat out a physical impossibility. kinda reminds me of the crap flying around about the Ukraine. Both stories are "Goebbelsian", in the extreme. Yet, both stories, as a directed push, occupy and blank out reason in the entire mainstream media and politics. Which should horrify and deeply alarm any sane person.